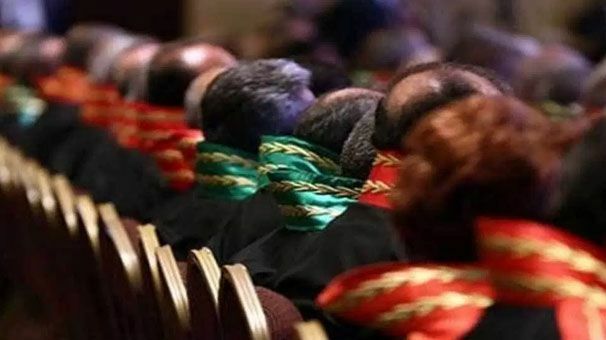 A ceremony at which newly qualified judges were to be appointed to positions by lot has been postponed after an investigation said that 173 of the 1,000 candidates could have links to the Gülen movement, a group the Turkish government accuses of having been behind a July 2016 failed coup attempt. The movement, which follows an Islamic preacher in exile in the United States, has been labelled the Fethullahist Terror Organisation (FETÖ) by security forces and outlawed as a terrorist group. The Judges and Prosecutors’ Council (HSK) has now reopened investigations into all the candidates, opposition newspaper Cumhuriyet said. It quoted the main opposition Republican People’s Party (CHP) as saying the fact that a large proportion of the candidates were members of the ruling Justice and Development Party (AKP) would result in “party-based justice”. Dün yapılması gereken hâkim-savcı kuraları töreni, güvenlik raporunda bin adaydan 173’ünün FETÖ ile irtibatlı olabileceği ortaya çıkınca ertelendi.